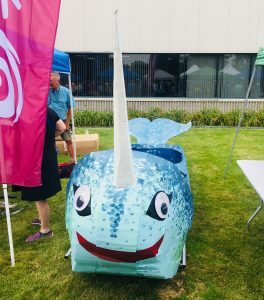 GCS Volunteer Engagement Specialist Sharon Sarber was at the 9th Annual United Way Great Cardboard Race today. The race is the kickoff event for United Way’s fundraising season. While there, Ms. Sarber was actively recruiting Read United volunteers for Elkhart and Goshen Community Schools. 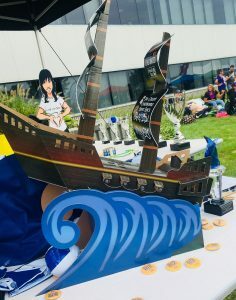 There were 52 cardboard boat entries this year, and the awesome pirate ship “Crusader Trophy” was designed and made by Welch Packaging. 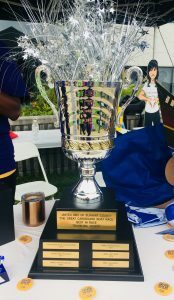 The races are a great way to build community, have a little fun, and help the United Way kick off their fundraising season. 1. If you would like to volunteer for the Read United program in elementary schools this fall, please contact Sharon Sarber at ssarber@goshenschools.org or 574-533-8631, ext. 2048. 2. 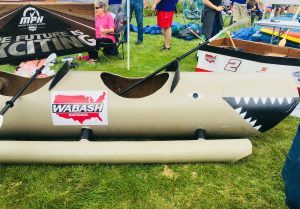 If you would like to sponsor one or more GHS teams (students in Engineering Technology classes) in next year’s United Way Great Cardboard Race, please contact GHS teacher Jen Yoder at jenyoder@goshenschools.org There is a $300 entry fee for the heavy duty cardboard used to build the boats, and the teams are also encouraged to get sponsorships, as this is a fundraiser for the United Way. Thank you for considering partnering with GCS!